Open Innovation has been around for years. Like any concept or technology, a time-lag exists between when it emerges, gets used by early adopters, and becomes usable by many. 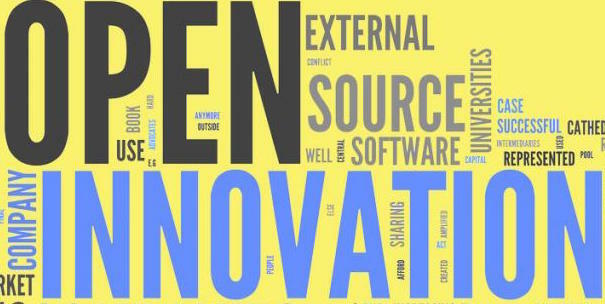 Open Innovation (OI) is no different. It is a concept (powered by underlying technology and methods) with a pragmatic objective: engage different types of stakeholders beyond one’s organizational walls in ways that provides mutual value to all involved. So, why invest in Open Innovation? Because the world is broader than any one business (don’t tell Facebook or Google that! ), and expertise lies beyond any one discipline, perspective and certainly set of organizational boundaries. As Proctor & Gamble years ago justified their open innovation approach, by understanding that there was 100x the number of product managers in the world than there were inside P&G so the decision to exploit OI was easy. From this perspective, Open Innovation’s focus is to harness insight from many others in service to a specific challenge and/or opportunity that a particular organization wants to focus on. Increasingly lessons are learned, and technologies and methods are developed contributing to the increasing attention, and usage, of Open Innovation globally. Yet Open Innovation could be much more than “open things up” to our stakeholders and customers. 4x: the market multiples that these new business models are getting over more traditional companies (where business models is merely a fancy way of characterizing how businesses orchestrate capabilities to meet market needs). The new business models are ecosystem-based – a fancy way of describing that what underlies each of the growth leaders – and new business model – is a new way to engage customers, one’s competitive environment with new capabilities to capture new sources of value in new ways. These new models – and their resulting 4x – require insight into where value is being created and destroyed in the ecosystems in which you, and your customers are engaged – and taking advantage of the opportunities that these changes create. Take this back to open innovation. Open Innovation is designed to engage folks “out in the world” in a way that adds value to everyone involved. Approach #1: exploit OI as a challenge – engaging with folks “out there” of relevance to your operations “within your organizational walls.” This uses OI as one of multiple tools to identify new sources of potential value. Approach #2: see OI as an opportunity to explore new ways to engage customers and to perform new roles within the ecosystems (or domains as one of our clients calls it) in which they engage. This uses OI as a gentle way to begin to understand what the implications of a new business model might entail. In our experience, those who use approach #1 use it well for understanding challenges and opportunities – “harnessing the wisdom of the crowd” to come up a range of ideas to consider. Those who use approach #2 do so to explore new business models with an explicit aim at identifying and capturing new sources of value in new ways. Both work. It depends on what you want to do.